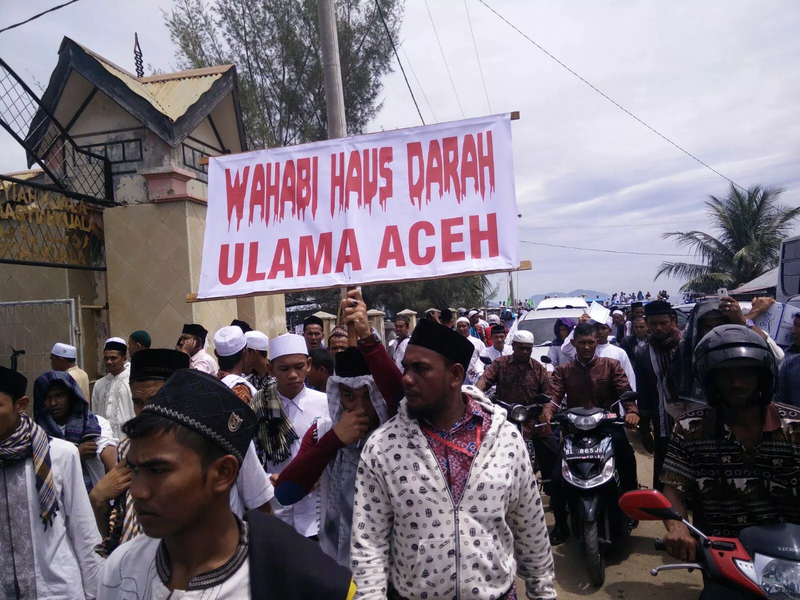 (Jakarta, 6 October 2016) A bid by traditionalist clerics in rural Aceh to increase their influence at the expense of urban rivals is drawing the local government into potentially discriminatory definitions of what constitutes “Acehnese” Islam. It is also taking on a dangerous political dimension as deputy governor and former rebel military commander Muzakir Manaf turns to the traditionalists to shore up his political base as he steps up his campaign for governor in elections scheduled for February 2017. In its latest report, The Anti-Salafi Campaign in Aceh, the Institute for Policy Analysis of Conflict (IPAC) examines the background to the latest phase of this ideological struggle and the risk of violence it poses. While many of the issues between the two groups are over points of doctrine, major resources are also at stake as the traditionalists try to wrest control of mosques, especially the Baiturrahman Mosque in the heart of Banda Aceh; ulama councils; and appointments in the religious affairs bureaucracy. Tensions have increased since the tsunami as Salafi groups became more visible, but in fact the traditionalists, who call themselves Ahulussunnah wal Jama’ah or Aswaja, make no distinction between Salafis whose orientation is to clerics in Saudi Arabia or Yemen and members of the modernist Muslim organisation Muhammadiyah, whose members in Aceh tend to be more puritanical than their Javanese counterparts. Both Salafis and modernists accuse the traditionalists, mostly based in rural boarding schools called dayah, of engaging in un-Islamic practices – which for the traditionalists are the lifeblood of their ties to the community: for example, ritual feasts (kenduri) or recitation of prayers for the dead (tahlilan). To the modernists, these are unacceptable innovations that were not practiced at the time of Prophet and should therefore be shunned. The traditionalists’ quarrel with the Salafis is not over whether shari’a legislation should be expanded, because both groups believe it should be. After being marginalised during the Soeharto years, the traditionalists have used a tactical alliance with the former rebels of the Free Aceh Movement (Gerakan Aceh Merdeka, GAM) to reassert their influence. They are trying to get the GAM-led government to define Islamic orthodoxy in a way that would exclude key Salafi tenets and practices and effectively brand all interpretations other than their own as “deviant”. At the same, as Islamic law expands in Aceh and Qur’anic knowledge and recitation skills become critical to securing jobs, the Salafi/modernist schools are producing more successful students, so their networks are expanding. “More political power for the traditionalists combined with more social influence for the modernists could be a recipe for more physical clashes between the two, especially when the political element is added in,” says Nuraniyah.